Gossip Stone: Should Lana Take Part in Future Zelda Games? Ever since the release of Hyrule Warrios for the Wii U, the new character, Lana, has made a huge impression on many of its players. Lana’s personality fits in with the Zelda franchise amazingly; a seemingly cute and simple sorceress who turns out to have a deep and interesting back story. As a totally new character to the Zelda franchise or even the Dystany Warriors franchise, fans didn’t exactly know what to expect from this blue-haired mage. However when Hyrule Warriors was released, a fan base boomed into existence for the game, and also for Lana. With a lovable personality, some awesome abilities, and many fans, who is to say that Lana will only ever be featured in Hyrule Warriors? Will the White Sorceress take part in later installments of the Zelda franchise? Take the jump to join the discussion! Lana’s role in the series as a sorceress opens her character up to a lot of possibilities. She could take the part of a very minor character such as Maple, who’s magic powers aren’t actually used, or she could be an immensely important character, perhaps the character a game is based on. Since Lana has such an interesting back story, I personally think the latter is more likely to happen. Of course in a regular Zelda game the only playable character is Link, however throughout the series Link is given temporary companions to help him throughout various dungeons and sections of the game, such as Medli in The Wind Waker or even Zelda from Spirit Tracks. These companions usually have a special item or ability that helps Link get past a certain obstacle. 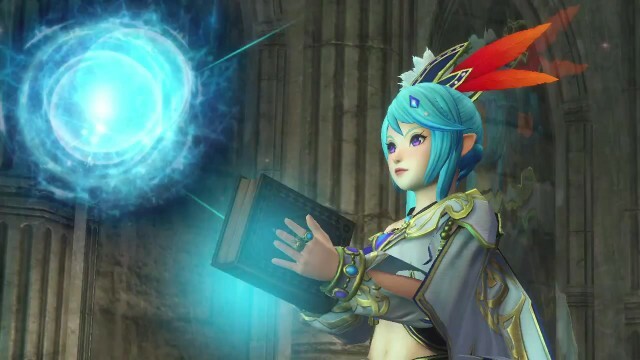 With Lana’s many powers and summons shown in Hyrule Warriors, the possibilities are nearly endless. She could summon the Deku Tree’s branches for Link to climb up to new areas, or even create her magic blocks to let Link jump across gaps that would be too far otherwise. Going back to what I said earlier, Lana could also take the role of a game’s main character. Being Cia’s counterpart, she obviously has a large role in the Zelda universe, keeping the balance of the Triforce. This could easily let Lana have the role of helping Link as he goes on his journey to defeat Ganon and the Triforce of Power, giving him new items and power-ups as he progresses through the game. Items that Lana could give Link could vary between the Light Arrows, the Deku Leaf or Nuts, or even the Cane of Somaria (which is theorized to be connected to her power of summoning blocks). With Lana’s cool abilities, great personality, and rich back story, I personally think she would do great in future Zelda titles. Whether we as a fan base would really like to see Lana in a future Zelda title or not, the only thing there is to do is wait and see. Perhaps our new favorite sorceress will appear in Zelda Wii U next year, or perhaps she is being saved for a much later date. Post in the comments what you feel should happen to Lana in the future!